Domaine des Montagnais is located five minutes from the Parc national du Mont-Mégantic. Discover their 10 cottages and their fully equipped suites with mountain views. Enjoy this dreamy place in nature to spend quality time with family, friends or in couple. Accessible by car, bus, motorcycle, etc. 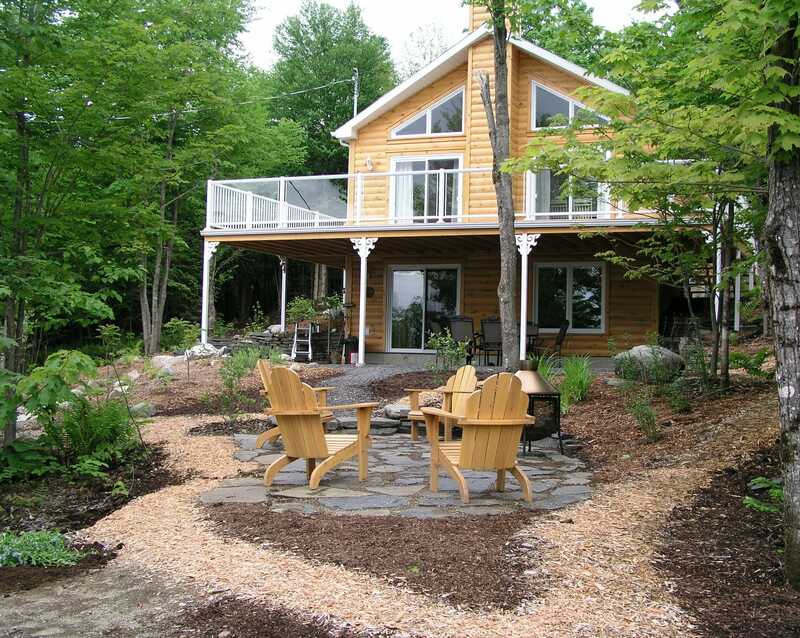 (paved roads), cottages include full kitchen, bedding, indoor and outdoor fireplaces, a whirlpool, an outdoor swimming pool, playground, slides, etc. Domaine des Montagnais has 200 acres on a hillside (650 m high) at the foot of Mount Mégantic, a place for relaxation and recreation in all seasons!